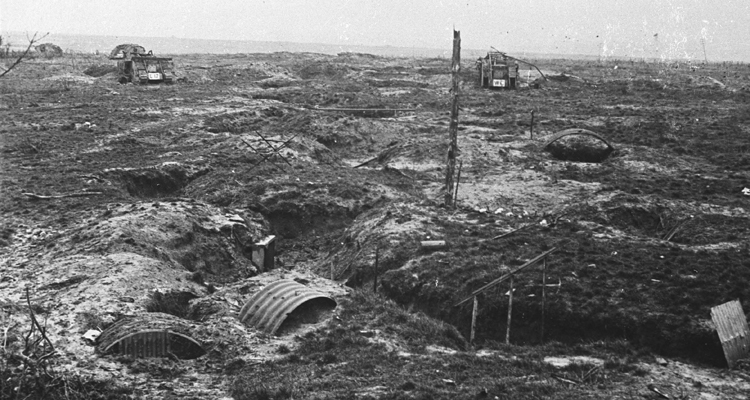 When entering The Tank Museum, one of the first things you see is a model of da Vinci’s tank, so it is only fitting that David Fletcher include it in our series on the predecessors of the tank. Incredibly ahead of his time, many of da Vinci’s designs have been mirrored in later years. 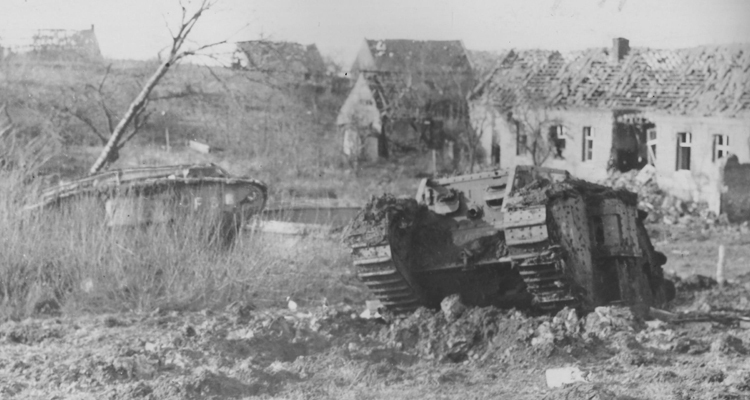 However, how much did his tank resemble the 20th century reality? I am building secure and covered chariots which are invulnerable, and when they advance with their guns into the midst of the foe, even the largest enemy masses must retreat; and behind them the infantry can follow in safety and without opposition. Whether he actually built any is questionable. Whether the thing would be of any use is not. 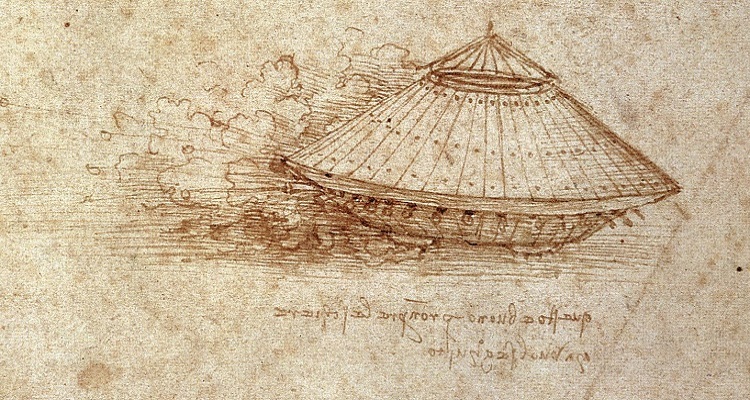 Da Vinci incorporated a fault in his original drawing which meant that anyone building from his plans would end up with a vehicle whose wheels moved in opposite directions. However if anyone of average intelligence did not spot his ‘deliberate mistake’ it would be surprising. Apparently da Vinci relied on manpower to move the thing along and, since it was built strongly of wood, it would be quite a weight to shift, never mind the crew who would be required to work the guns. As ever he provides no clue as to steering and on anything less than firm, dry and level ground it would be immobilised. Always remembering the fact that the ‘crew’ would be exhausted after a few yards. 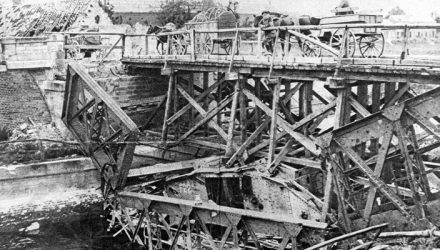 Trials of a lightweight replica at The Tank Museum proved this. If the opposition did not have the wit to simply step out of the way of this slow moving monstrosity, that would be surprising too. 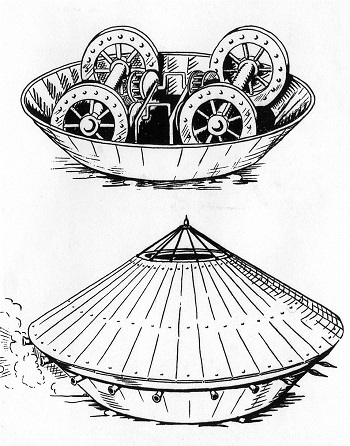 Read Part 4 of Towards the Tank: Valturio’s War Chariot here and Part 6 on Simon Steven’s Landship here.